We pride ourselves on offering top quality plumbing services. Our goal is to give our customers such a great plumbing experience that when you or any of your neighbors need a plumber, we'll immediately come to mind. Contact us today at 317-677-4918 to start working with a reliable plumber in your area. We offer top quality installation, maintenance and repair on all type of water heaters. If you are dealing with hard water, contact us for installation, repair and maintenance of water softeners. Keep your basement clean and dry. Call about our sump pump installation services. Whether you need your old one repaired or want to install a brand new one, we've got you covered. We Offer Quality Plumbing Services for Affordable Prices. 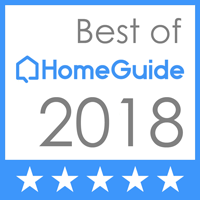 If you need a plumber in Indianapolis, IN who will provide quality plumbing services and excellent customer service, then Grateful Plumber is the company you should call. Our licensed and insured plumbers offer a wide range of commercial and residential plumbing services. If you need any kind of plumbing installation, maintenance, or repair, we’ve got you covered. We understand that having to call a plumber is always a hassle and that no one really wants to call a plumber. Our goal is to provide you with the best plumbing experience possible, so the next time you or one of your neighbors need a plumber you’ll remember us and call us again. When we come to your home, we will listen to what you’ve been dealing with, then we’ll do an inspection of our own and suggest possible solutions. We want to make sure that you get only the repairs you need for the problem that you are currently experiencing. We will never charge you for repairs that you didn’t need and we won’t try to upgrade from repairs to installation unless absolutely necessary. Let us show you how reliable, affordable, and dependable our services actually are. Give us a call today at 317-677-4918. If you aren’t completely satisfied with the job we do, we’ll stay and continue working until you are 100% happy with results. It’s you, your home and your business that we care about and we will do everything in our power to make sure you get the best possible plumbing repairs. Commercial Plumbing We offer services to small business and corporate offices. Residential Plumbing We can fix any plumbing problem that might arise in your home. Water Heaters We handle repairs, maintenance, and installation for all types of water heaters. Water Treatment Systems These systems can improve the quality of water in your home. Drain Cleaning & Repair Don’t let a clogged drain ruin your day. Let us come clean it out. Do You Need an Excellent Plumber? If You Need Pipe Repair or Installation, We’ve Got You Covered. If you need a commercial or residential plumber in Indianapolis, IN then Grateful Plumber is the company for you. We understand that problems in your plumbing mean problems in a lot of places as well. Let us assist you. We guarantee our plumbing service to be of the best quality at a price you can afford. We won't hire a plumber unless they are fully certifed and insured because we want to be able guarantee a professsional, reliable plumbing job. Contact our staff at 317-677-4918 to set up an appointment with a quality plumber in Indianapolis, IN. We offer a wide range of services, so whatever issue you’re having, we’ve got the know-how to fix it. We want to be your primary plumber in Indianapolis,IN. Call us today at 317-677-4918 to speak to one of our staff members about whatever plumbing solutions you might need. Whether it’s repair, maintenance, or installation of a new water heater, toilet repair or installation or something as simple as fixing a leaking pipe under your bathroom sink, we’ve got you covered. 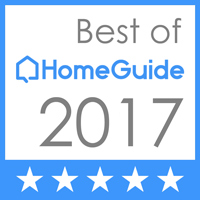 We guarantee top quality plumbing and customer service so excellent you’ll recommend us to your friends and family. Don’t let plumbing problems ruin your day, call us instead. When the plumbing systems in your home aren’t working correctly, your entire schedule gets thrown off. 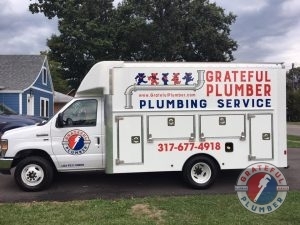 Call Grateful Plumber for a plumber in Indianapolis,IN who will provide top level customer service while completing an excellent plumbing job. 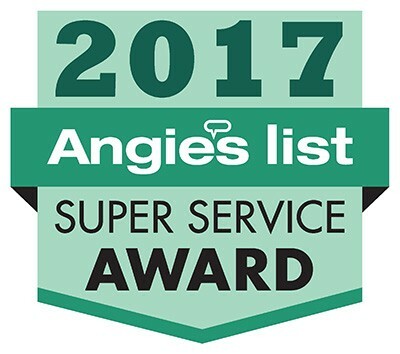 Whether you need repair, installation, maintenance or replacement for your plumbing fixtures, pipes or appliances, we’ve got you covered. Our goal is to become the plumber for your entire neighborhood by doing such a great job that you’ll recommend us to your entire street. So, we offer high-quality plumbing and will treat you with the greatest customer care you’ve experienced from a plumber. Give us a call today 317-677-4918 to set up an appointment with a great plumber who will take care of you and your home. Faucet and Sinks We offer repair and installation for all your plumbing fixtures. Frozen Pipe Repair If your pipes have frozen call us as soon as possible. Garbage Disposals We can repair your old one or install a new one. Gas Line Repairs If you suspect a gas leak, call us immediately! Ice Maker Line Repair If you need repair or installation, we’ve got you covered. Leaking Pipes We can fix leaks both inside and outside your home. Outside Faucet Repair Don’t let a leaking outside faucet ruin your foundation. Sewage Pumps We can repair, replace or install sewage pumps. Sewer Line Repair Let us handle all your sewer line problems. Slab Leak Repair A leak in your foundation can be harmful to your foundation. Sump Pump We can repair and replace your sump pump in your basement. Toilets If you need a new toilet, or just want to repair the old one, we can help. Water Line Repair If your water lines are having problems, call us for repair or replacement services. Water Pressure Booster If your home has low water pressure, one of these pumps could be the perfect solution. Even though water doesn’t really have a flavor, there is still water that tastes good and water that tastes bad. Water that has come straight from the public water system doesn’t always taste good. For a plumber in Indianapolis,IN who installs, maintains and repairs water treatment systems, call Grateful Plumber at 317-677-4918. We offer both water purification and water softener systems. We only work with the best products to ensure that your water treatment system lasts you for a good long while. Water Purification We can install a variety of water filtration systems for homes to improve the quality of water you and your family drink. Water Softeners If you notice hard water build up on your faucets or appliances, call us and ask about installation of a water softener. Hot water is an important part of living in a home. When you need water heater repairs, maintenance or installation call Grateful Plumber for a plumber in Indianapolis, IN. We work all types of water heaters. Call 317-677-4918 to hire a plumber who will be able to help you solve all your water heater needs, from the most basic to a serious problem that requires a full replacement. We guarantee excellent plumbing and great customer service. Instant Water Heaters We can install these units in your kitchen, bathroom or laundry room to help you get all the hot water you need where you need it. Tank Water Heaters We offer repairs, installation, and maintenance for traditional style water heaters. Tankless Water Heaters If you want to upgrade to a tankless heater, we offer installation and repair services. We offer high-quality commercial plumbing because we know that if your plumbing fails you, your customers won’t be able to come into your business or office. If you’re looking for a reliable, affordable commercial plumber in Indianapolis, IN, give us a call at 317-677-4918. Whatever the problem is, we’ll get it fixed fast so you can get back to work. Every plumber in our company is skilled in a variety of commercial repairs, including toilet repair, pipe repair, drain cleaning, and sewer maintenance. Drain cleaning and repair is an important part of keeping your plumbing working properly. For a plumber in Indianapolis,IN, call 317-677-4918 to speak to a plumber at Grateful Plumber. We offer a variety of drain cleaning and repair services and can guarantee the quality of our work. Whether you need the drains in your home repaired or need us to unclogged the drains from your commercial building, we’ve got your covered with fast, affordable services. At every job, we make sure that you are absolutely satisfied with the results before we leave. Updated on August 31, 2017 at 2:17 pm by Grateful Plumber.